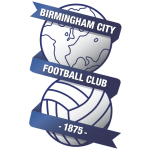 Birmingham City vs West Bromwich Albion predictions and betting tips for Friday night’s Championship clash. This should be a fiery Midlands derby, with both teams having contrasting starts to the season. Read on for all our predictions and betting tips. Despite playing reasonably well in most games, Birmingham’s results have not matched their performances and they remain without a win in the league this season. In games against Norwich, Nottingham Forest and Swansea, Birmingham were arguably the better team but could not finish their chances or see the game out. Against Norwich, they conceded an injury-time equaliser, whilst Forest came from two goals down to end the match 2-2 in the last ten minutes. With Swansea, the team dominated the match but could not put away a number of opportunities to score and the match finished goalless. This has been symbolic of Birmingham’s season, although they also lost 1-0 narrowly in away games against Middlesbrough and Bolton. Although these were games that manager Garry Monk would not have expected to come away with anything, it has added to the pressure his side are under to get that first win under their belts. Things did not improve in their last game before the international break, with another home, goalless draw against fellow strugglers QPR. They were dominated in that game by the away side and could easily have lost, with only one shot on target recorded. This will represent a huge worry to Garry Monk in his quest to steer Birmingham away from relegation troubles but, at the moment, it looks like it could be a long season. Indeed, it could be about to get a lot worse for the club, with an economic expert predicting that current player costs are unsustainable, with a 12-point deduction and heavy fine looking more and more likely. If this happens, it could spell the end for the team’s spell in the Championship. 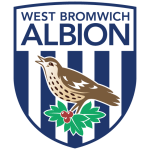 In contrast, West Bromwich Albion have enjoyed a relatively successful start to the season under new manager Darren Moore. After their first match, which ended in a shock home loss to perceived strugglers Bolton Wanderers, a result Moore called the outcome a “reality check”. Indeed, it appears to have worked with only one loss in all competitions since then, winning five out of their last seven matches. These results included an enthralling 3-4 away win against Norwich and a 7-1 demolition against QPR. This shows their impressive attacking prowess and it can be argued their two main strikers, Dwight Gayle and James Rodriguez, should be playing in the Premier League with their quality. Whereas Gayle has scored three goals so far in the league, Rodriguez has got four, helping West Bromwich Albion become the top scorers in the league thus far. If this continues then they could easily fire the club into the promotion places. They showed this in their most recent match against Stoke City at home. Although they conceded late on to make the final result 201, West Brom could have won by more. However, they relied on two Dwight Gayle goals to see them over the line and secure another win against a potential promotion rival. The only criticism that could be levelled at the team is the lack of clean sheets the team has got this season. They have only kept one clean sheet this season, against Luton Town in the Carabao Cup, and have conceded nine goals in total this season. Thus, the team will have to tighten up the defence against the better teams if they want to make a sustained promotion bid. However, against a Birmingham City side seemingly devoid of attacking confidence at home, we think they will pick up another win in this Midlands derby. They have too much quality for Birmingham and seem to be in great form. Conversely, Birmingham have mounting problems on and off the field and this could affect their performance. However, although West Brom will win, we think the home side could pull a goal back. They will be motivated to put in a good performance against their rivals and might finally put away some of the chances they have been creating, to make it a final score of 2-1. Birmingham have not won any of their last nine games in all competitions, losing four and drawing five times. West Brom have only lost three times in their last fifteen matches in all competitions, winning ten of those. Both teams have scored in eight out of the last ten of West Brom’s matches. Birmingham have only scored in one game out of the last five.